Today’s Education in the Media blog focuses on the launch of the new Recruitment and Retention strategy, as well as stories on apprentices and exclusions. Today, Monday 28 January, Education Secretary Damian Hinds has launched the first ever teacher Recruitment and Retention strategy, in a move to deliver on his commitment to champion the profession and boost outcomes for pupils. This morning, the Education Secretary appeared on Sky Sunrise, Good Morning Britain, the Today programme, as well as LBC, Heart and BBC 5 Live. The launch of the strategy was also covered by the Guardian, the Independent, BBC Online and the Times. Part of the new strategy is the Early Career Framework. This is the biggest teaching reform in a generation, backed by £130m a year in extra funding when fully rolled out. New teachers will receive a two-year package of training and support at the start of their career, including a reduced timetable to allow them to make the most of their training. There will also be extra financial incentives to encourage teachers to stay in the profession, including bursaries. Reducing workload is also one of the Education Secretary’s top priorities and simplifying the accountability system and stripping away unnecessary tasks will also be a key element of the strategy. When I took this job a year ago, I made championing teachers my number one priority. Over the past year I have worked with Ofsted and the unions to bear down on workload. I think teachers work too many hours - aggravated by unnecessary tasks like excessive marking and data entry, spending more than half their time on non-teaching tasks. But those who choose to become teachers chose to do so to inspire young people, support their development and set them up for a bright future – not stay late in the office filling in a spreadsheet. This ambitious strategy commits to supporting teachers – particularly those at the start of their career – to focus on what actually matters, the pupils in their classrooms. In a competitive graduate labour market we must continue to ensure that teaching is an attractive profession so we can train and retain the next generation of inspirational teachers. Working with teachers, school leaders, trusts and unions, this strategy will help to support teachers to do what they do best – teach. You can read more about the launch of the strategy here. Today, Monday 28 January, the Daily Mail, the Telegraph and City A.M reported that the telecommunications company Openreach are set to hire 3,000 apprentice engineers in the UK to support their rollout of full-fibre broadband. It is great to see Openreach showing faith in apprentices and offering opportunities in such large numbers. The expansion of high-skilled and well-paying jobs is essential for apprentices to thrive and put their learning to use in the workplace. Yesterday, Sunday 27 January, the Mirror reported that the number of pupils being suspended breaching drugs and alcohol rules in schools had risen at the fastest rate for a decade. Our published statistics on exclusions show the rates of “Drug and alcohol related” reasons of exclusion have remained the same for permanent and fixed period exclusion for state-funded primary, secondary and special schools between 2015/16 and 2016/17. Schools should be safe places for both pupils and teachers. Bringing alcohol and illegal drugs into schools clearly disrupts children’s education - and we support head teachers in using exclusions and suspensions as a sanction where warranted. 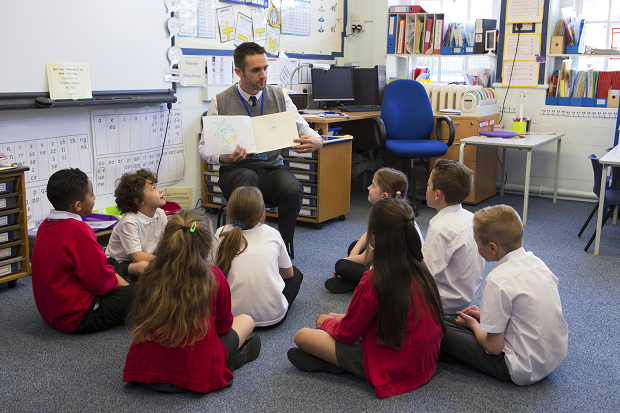 The government has already made great strides in empowering teachers to tackle poor behaviour in schools: we are reforming training so that all new teachers will be shown how to effectively manage behaviour in their first two years in the profession and we recently announced a £10 million investment to support schools to share best practice in behaviour management.